After a less than impressive early F1 career from 1991-1994, Zanardi had washed up in CART (Indycars) following dropping out of F1 at the end of 1994. 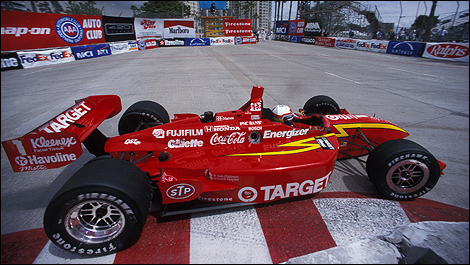 After an impressive test with Ganassi, Zanardi was signed to partner Jimmy Vasser. In 1996 Vasser won the CART title, while Zanardi gained experience, culminating in a thrilling final race at Laguna Seca where he cam of age in a tense battle with Bryan Herta. This set Alex up for two championship wins of his own in 1997 and 1998. Zanardi showed time and again an incredible will to win. He could win from pole, or win from the back. 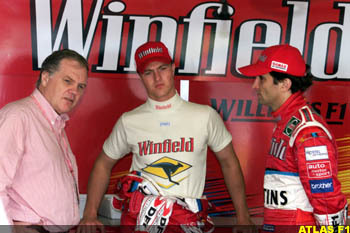 Ganassi were impressed with his intelligence, technical ability and mechanical sensitivity. He was however at his absolute best when responding to suffering problems in races, and would usually fight back through the field, winning hearts and minds as he went. Two hearts he won during this time were mine, and more importantly that of Frank Williams – who as we know loves a fighter. The driving standard in CART was high at the time – and Zanardi was making them all look like journeymen. 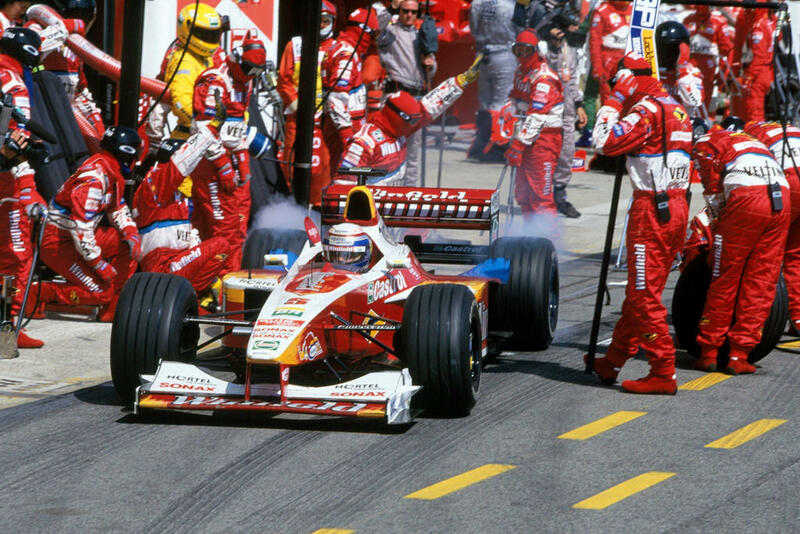 This wasn’t lost on Frank and as Zanardi progressed to his ’98 title, Frank went on the offensive. Williams tirelessly stalked Zanardi, finally flying to the U.S to conclude what Zanardi termed a “significant investment” in him. It was a very good deal, and Alex was honoured to sign for Williams and return to Formula One. In 1997 Williams was winning championships, but had already lost Adrian Newey to McLaren. Further to this, Renault had pulled out of F1 in a works capacity at the end of 1997, and while Williams were able to purchase Renault engines through Mecachrome, the were no longer free. Indeed, they cost around £25.000.000 for a season, which affected the overall development budget. In 1998, The FW20 was designed with a rearward weight distribution to counter narrow Goodyear grooved front tyres. The car was overweight, meaning there was little ballast. During 1998, Ferrari (who were fighting a championship with Goodyear), pressured the Akron concern into developing a wide front tyre to suit their car and give Michael Schumacher the front end on the Ferrari he required. This did not suit Williams, who could not move enough weight to the front of the FW20 to work the new fronts correctly. When the FW21 was launched, it was better in this respect – Patrick Head referred to it as a “neat little car” (he called the FW20 a “shitbox”). But Williams, like fellow Goodyear customers, had moved to the control Bridgestone tyres and were struggling to understand them. Zanardi himself was uncomfortable with the lack of consistency of the tyres, which degraded after a handful of laps, leading to confusion when trying to ascertain the correct setup for the car with his inexperienced engineer Craig Wilson. A poor attitude from team-mate Ralf Schumacher also made life difficult for Zanardi, while Patrick Head had lost faith in him as early as the San Marino Grand Prix. All was not well within team Willy. Zanardi’s efforts in the early races were often hampered by woeful reliability, impacting on setup time and resulting in the previous mentioned confusion on his side of the garage. Alex often tried technical experimentation with the car to solve his own problems, with support from Patrick, but later realised himself this was a mistake after poor reliability at Spa forced him to use the T-car which was set up for Ralf. He did much better once he was teamed with experienced engineer John Russell, and together they focussed on working with what they had. Alex was able to outqualify Ralf on five occasions during 1999 – most impressively by half a second at Monaco. Other successful quali sessions included Montreal, Magny-Cours and Monza. 10 of his 16 races that year however ended in retirement. Surely the Monza weekend. P4 on the grid was no mean feat with the Customer Mecachrome V10s up to 50bhp down on the Mercedes and Ferrari V10s. 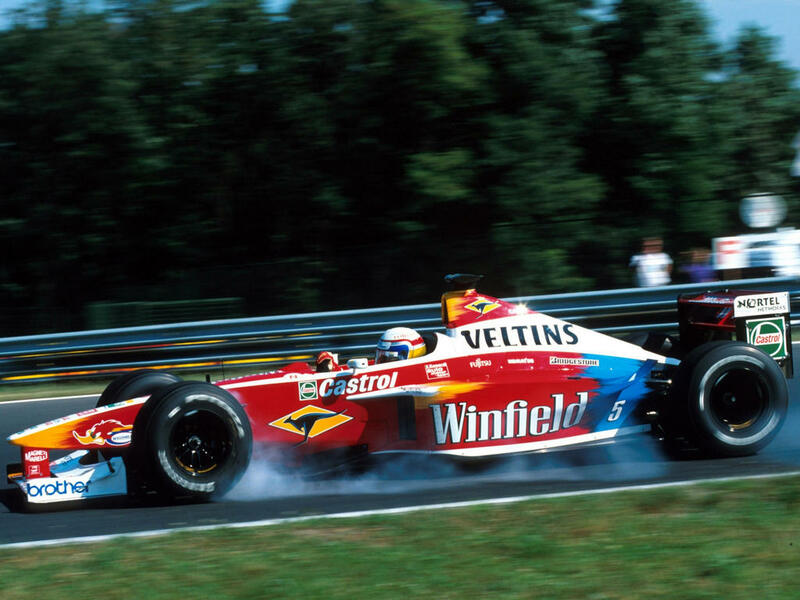 In the race, Zanardi got up to second at the first corner before losing a place to Frentzen after a loose floor robbed him of ground effect. After realising he was holding up Ralf, he moved over and held on to finish an unfortunate 7th, on a weekend when he was clearly faster than Ralf Schumacher. Alex attributes this performance to new low-abrasion tarmac laid at Monza making the tyres last better, allowing for him to develop a proper setup during the preceding test. The weekend therefore was not spent playing catch-up. Austria. After qualifying 14th, the race started with a failed radio. He got into a battle with Pedro Diniz which distracted him to the point he missed his pit-in signal twice and eventually ran out of fuel. Zanardi had originally been signed on a 3-year deal, taking him into the BMW era which he, along with the team, was looking forward to. However, he was aware that the team was openly testing other drivers, including Jenson Button and Bruno Junquiera, and Patrick Head made some typically frank remarks that had further upset him. Eventually, he was summoned to England where Frank and Patrick, according to Zanardi, tried to plant the idea in his head to walk away. In fact, Zanardi challenged them to be open and state that they had lost faith in him and wanted him out. Frank eventually admitted as much and a severance deal of around $4million was agreed. Williams held a shootout for the vacant seat, of which I am sure we will learn more about later! Zanardi himself admits that he had been tired from his CART championship campaigns, and was also distracted by the birth of his son Niccolo in 1998. He frankly admits he shouldn’t have tried to re-engineer the setup of the car himself, and that he should have not been drawn by Patrick Head as much when he was sure of his own convictions. He also sights the obvious shortcomings in Williams reliability and intra-team politics (mostly due to Ralf) as further strains on his relationship with the team. Indeed, following derogatory comments by both Head and Schumacher about the quality of drivers in CART, Alex was pleased to see Juan Pablo Montoya return to Williams and blow the doors off various Schumachers at points in 2001. If ever there was a case of Bad timing, surely this was it – for all concerned. Williams thought they were getting a feisty, technically capable fighter. Zanardi thought he had landed a dream contract with one of F1′s best teams. They were both right…just not during 1999. For me, this relationship failed because of both stakeholders’ inflated view of the other. 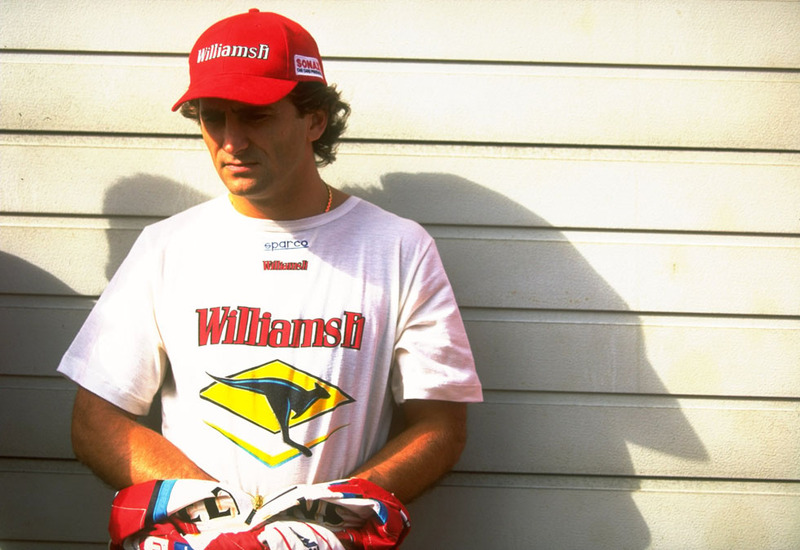 When the reality became clear, both Zanardi and Williams became disenchanted and neither party had the ability to sort it out during the year. Further contributing factors were Zanardi’s almost total lack of ability to feel comfortable on grooved tyres, and Williams’ pathetic reliability with a proven engine, but never the less, there is no escaping the fact that whilst Ralf was busy making his name in the other Williams, proving competitive enough to fight for 3 podiums, and finish 6th in the drivers championship, Alessandro’s inability to score a single point was lamentable and had he wrung just 2 points out of the car, Williams would have beaten Stewart to 4th in the Constructors Championship. Alas. Still, as harsh as the raw statistics portray Zannardi, if you start to dig around, there are signs that Zanardi’s performances were not often as bad as it looked at the time – when everything was going right he could be competitive. 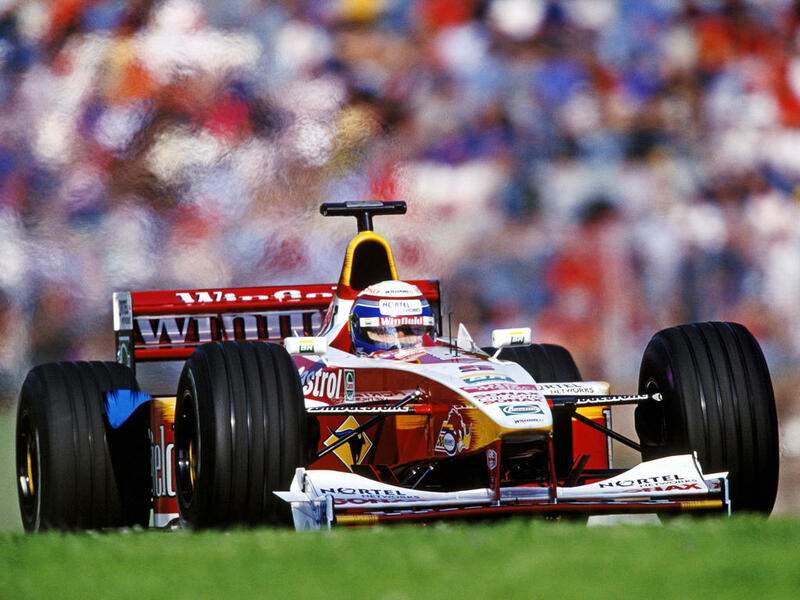 But those moments were few and far between, and I think one thing Zanardi cannot admit to was that his head went down after driving the narrow track/grooved tyre cars, and was pretty quickly destroyed in the head by Ralf Schumacher thereafter. I lօve wɦat you guyѕ are սp too. This sort of clever work and repоrting! Please don’t duplicate these reviews for your own purposes. We intend to extend this blog to a fully fledged website soon.